Stories, is a lifestyle destination. It caters to the furniture needs of a customer purely from the point of view of delivering decor solutions for the home at large, thereby adopting a far more holistic approach as opposed to a regular ‘furniture store’. This forms the essence of Stories brand philosophy. We curate textures, patterns, materials and forms to help you create home concepts that are truly global. No matter how diverse your needs are, together we create lasting memories that are no less than an artwork by blending shapes and forms that are beautiful, meaningful and substantial. furnishing, computer and accessories and many other industries. Our up-to-date market knowledge is the key factor in finding the best quality and rate for our valuable customers across the globe. We aim at making retailing as smooth as possible by removing any hindrance or hurdle that in sourcing the right product for the right market in various segments. Open Kart is an online hypermarket that aims to be the online shopping portal with the broadest range of products available, for the people of UAE, Qatar, Kuwait, Oman & Bahrain. At OpenKart, we connect consumers with the best products across the region so that they can get the greatest deals. We believe online shopping can be just as personal and engaging as entering a mall or a flea market. We promise to provide hassle-free online shopping experience all the way from product selection to timely delivery. We guarantee that our products are all genuine as per our knowledge. Debross PTE Limited, Head Quartered In Singapore Is An IT/Telecom Company That Is Committed To Revolutionize The telecom Industry. Our State Of The Art, Switching Hardware And Software Ensures 100% Available Time With Highest Circuit Availability And management. Support, Though Considered As A Service By everyone, We See It As A Primary High Value Product. Our excellent service was the main reason for us to be partners with more than 200 LDI around the world. Being one of the largest carrier of Vodafone India and other similar customers made us in to a company with annual turn over of 200 Million USD. The Outstanding Uniqueness Of Open Medicines Is Its Medicine storage And Value Added Services. We Store Every Medicine As Per drugs & Cosmetics Act 1940 Rules 1945, Strictly Under The prescribed Storage Condition. Proper Storage Of The Medicines ensures Maximum Potency Of Each Medicine & Thus Ensures The desired Relief To The Patient. Open Follows Its Trust Open Policy As a Commitment To Its Customers To Offer Maximum Value For The money Spent. With An Expansion Plan Of 350 Outlets Across Kerala By 2018, Open Aims At Being One Of The Pioneers In The health And Wellness Sector. 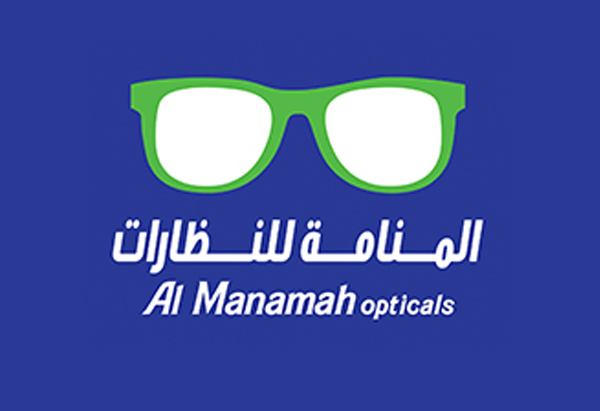 Bronet Group’s Al Manama Opticals is a retail optical chain in the middle east. This vertical was established with a sole intention of providing affordable and stylish eye ware to all. Our inventory consist of specialized products for men, women and kids. Our range of products includes Eye Glasses, Premium Glasses, Sunglasses, Contact Lenses, Reading Glasses and Accessories. .
By the year 2020, stories will have physical stores at 20 location across India. New concept to fight against unemployment, by making each and every body as an entrepreneur. A tasty concept to the field of customer service to make them happy through dynamic services. An interior designing concept as per custom design by collaborating worldwide manufacturers and supplier. Janasevana pharmacy is a new wing under Open Medicine. As the very name suggests, this project is intended to serve the people, especially those dwelling in the underprivileged strata of our society. In the current scenario, advanced and improved medical care is mostly available and affordable to only to the creamy layer of society. Through Janasevana pharmacy, we aim to bring in a positive change in the situation by making it easier for the economically backward class to easily access quality medical care. Janasevana Pharmacy will substantially lower the cost of sophisticated treatments. Under this project, around 50 pharmacies with clinic and Day care center will provide quality medicines all over Indian villages at a very reasonable price. The clinics will ensure utmost care and will be equipped with availability of specialty doctors, nursing care, electro diagnostics & basic laboratory. The open day care center will run 8 AM to 8 PM.